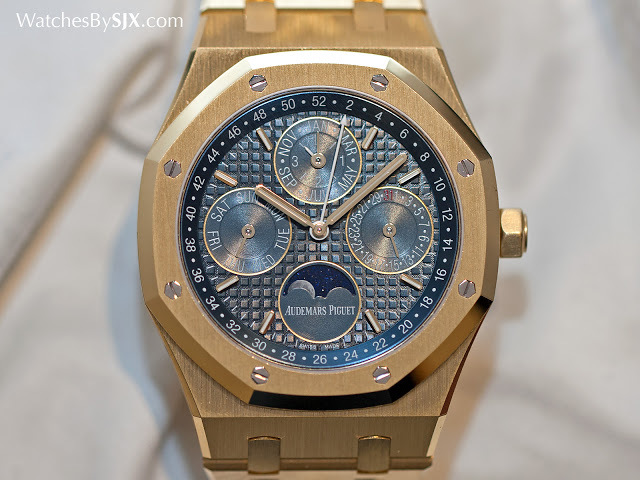 Despite being heavily centred on the inescapable Royal Oak, the line-up Audemars Piguet presented at SIHH 2016 was varied and interesting, with the exceptionally sonorous Royal Oak Concept Supersonnerie being one of the highlights of the fair. 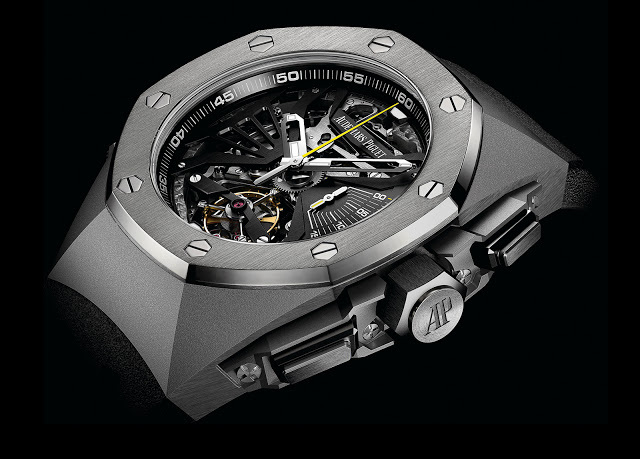 The 2016 offerings from Audemars Piguet continues the strategy – capping production, models and distribution – that has put the brand in a strong position despite the slowdown in the luxury watch business. 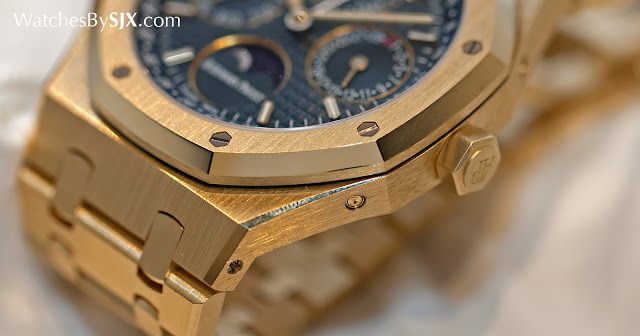 With a handful of exceptions, the 2016 range from Audemars Piguet was devoted to its octagonal classic, mainly made up of prudent, incremental changes. Claude Ermenegger, the brand’s recently appointed creative director, did reveal in an interview that one of his goals is to broaden the offerings beyond the Royal Oak, though that has been an ambition for a long time. But for now, the Royal Oak is still king. The production version of a prototype first unveiled last year, the Royal Oak Concept Supersonnerie is a minute repeater that is incredibly audible – in fact it sounds almost as loud as a large pocket watch (see the video below) – thanks to two key innovations. One is the silent regulator, essentially a tiny spring that works as an escapement to regulate the speed of the repeater chimes, eliminating the buzz from the traditional governor that interferes with the sound. The other feature is arguably more interesting, though not entirely new. Instead of being fixed to the base plate, the gongs of the repeater are attached to a copper alloy disc that acts as a sounding board, amplifying the repeater chimes. This sits under the outer case back with holes around its rim so the sound can travel out of the case. It’s similar in principle to the construction of traditional alarm wristwatches like the Vulcain Cricket and Jaeger-LeCoultre Memovox. Even if not entirely original, the concept works wonders. 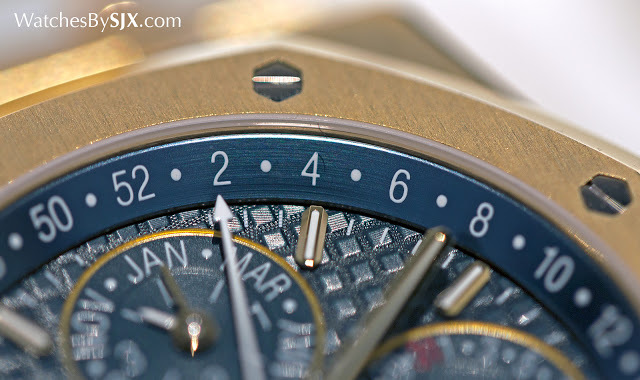 The Supersonnerie is one of the loudest and clearest minute repeaters to emerge in recent years. With more fine-tuning it can only get better. 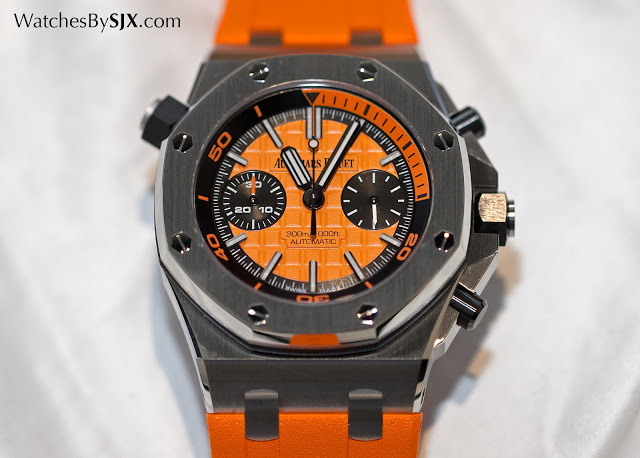 The downside is the price – SFr520,000 – because it is also a chronograph and tourbillon, and the chunky, 44 mm case. Fortunately the same features can be applied to conventionally shaped, round watches that are at least 43 mm in diameter, large but more manageable. And of course it will eventually make its way into movements that are just minute repeaters, sans other complications. Another notable technically minded timepiece is the Royal Oak Double Balance Wheel Openworked. As the name indicates, the calibre 3132 inside is equipped with twin balances wheels and twin hairsprings, all attached to a single balance staff. Each balance moves in the opposing but identical motion to the other, improving the stability of the rate, especially as the position of the watch changes. Other brands have utilised double hairsprings towards the same end, but this is the first movement with two balance wheels on the same axis. 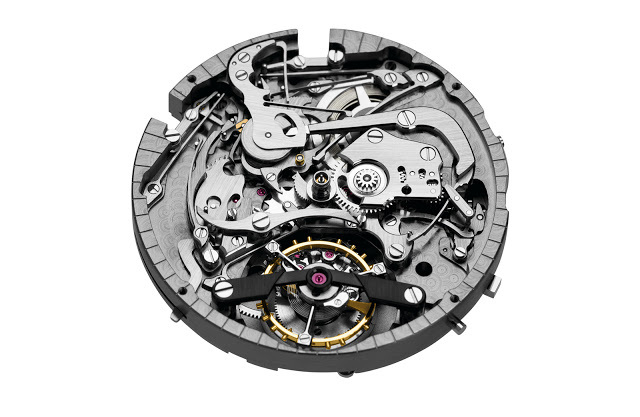 The movement is essentially a variant of the calibre 3120, the brand’s workhorse, in-house automatic, with skeletonisation and the accompanying decoration. 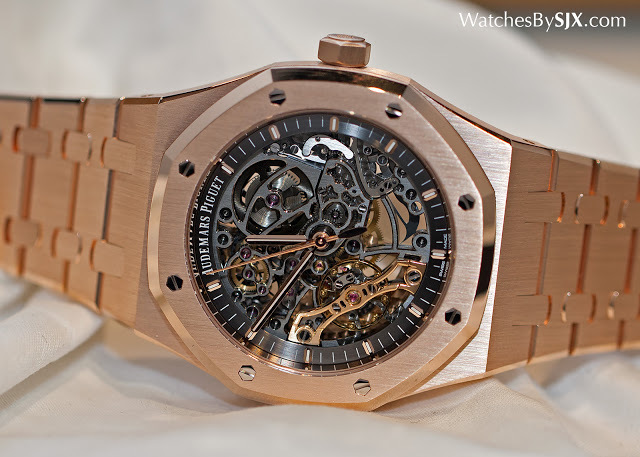 The case is 41 mm in diameter, and available in stainless steel or pink gold. The steel will cost SFr41,100, while the rose gold is SFr71,500. In Singapore dollars they are S$61,800 and S$107,700 respectively. 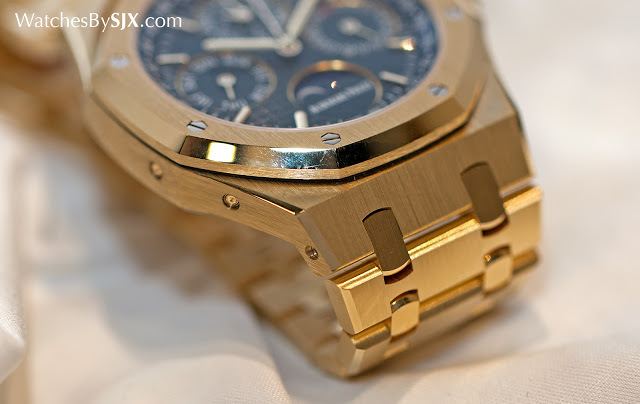 While pink gold is still the most popular colour of gold, Audemars Piguet is making an effort to rejuvenate yellow gold. 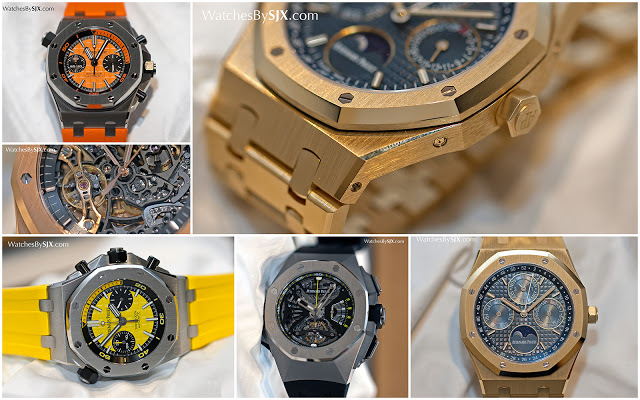 It unveiled a quartet of Royal Oak watches in yellow gold at SIHH, the first time the metal has had a substantial presence in several years. Given the Royal Oak was originally available in steel as well as yellow gold in the 1970s, this return to its roots is unsurprising. The range includes the Royal Oak Perpetual Calendar 41 mm, Royal Oak Chronograph 41 mm, Royal Oak Self-winding 37 mm and Royal Oak Quartz 33 mm. This echo the 50-piece limited edition yellow gold Royal Oak Extra-Thin Audemars Piguet created for Singapore retailer The Hour Glass last year. Despite being the least complicated of the 2016 line-up, the Royal Oak Offshore Diver Chronograph will probably sell in the largest numbers. Harking back to the candy coloured Royal Oak Offshore chronographs of the mid-1990s, the new Diver Chronograph is available in four striking colours with matching rubber straps. Green will be sold only at boutiques, while the other three colours will be available at authorised retailers. The brightly coloured rubber straps are a bit much; black rubber straps will tone down the flamboyance while preserving the sporty look. 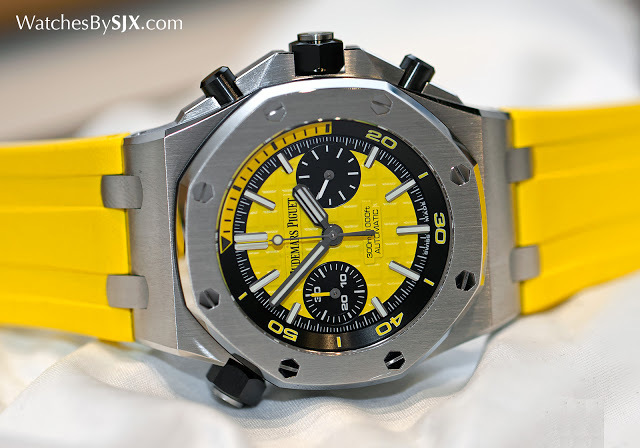 The steel case is 42 mm in diameter, the same as the traditional Royal Oak Offshore. An inner rotating bezel serves as an elapsed time counter, with a screw-down crown at 10 o’clock to turn the bezel, exactly as found on the Royal Oak Offshore Diver. 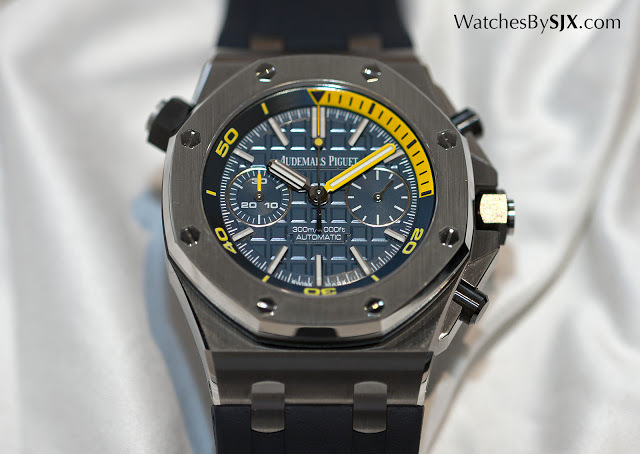 And as on the second generation Offshore 42 mm, the crown and pushers are made of black ceramic. 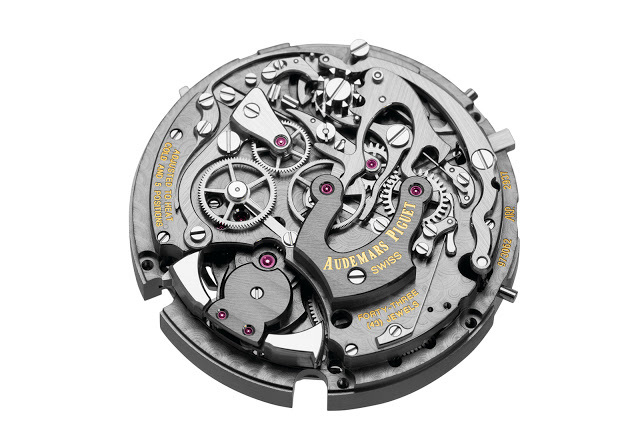 The reverse is a display back that reveals the calibre 3124 inside, similar to the movement found in the Offshore chronograph. 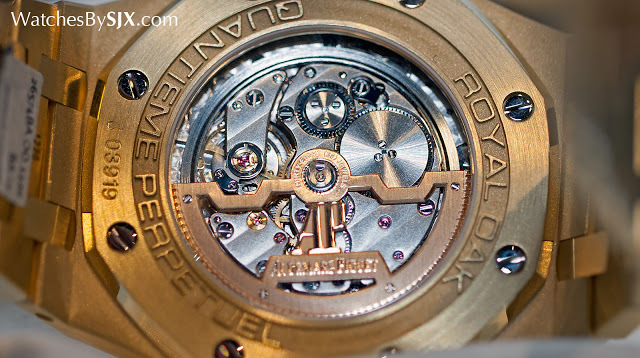 It’s an in-house automatic movement with a chronograph module on top. 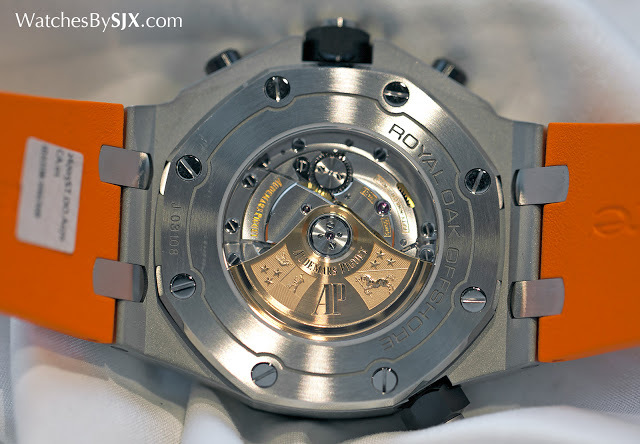 The Royal Oak Offshore Diver Chronograph will retail for about SFr26,000, or S$39,100. A. Lange & Söhne Audemars Piguet Baume & Mercier Cartier Greubel Forsey IWC Jaeger-LeCoultre Montblanc Panerai Parmigiani Piaget Richard Mille Roger Dubuis Vacheron Constantin Van Cleef & Arpels Addition February 4, 2016: Prices in Swiss francs and Singapore dollars added.